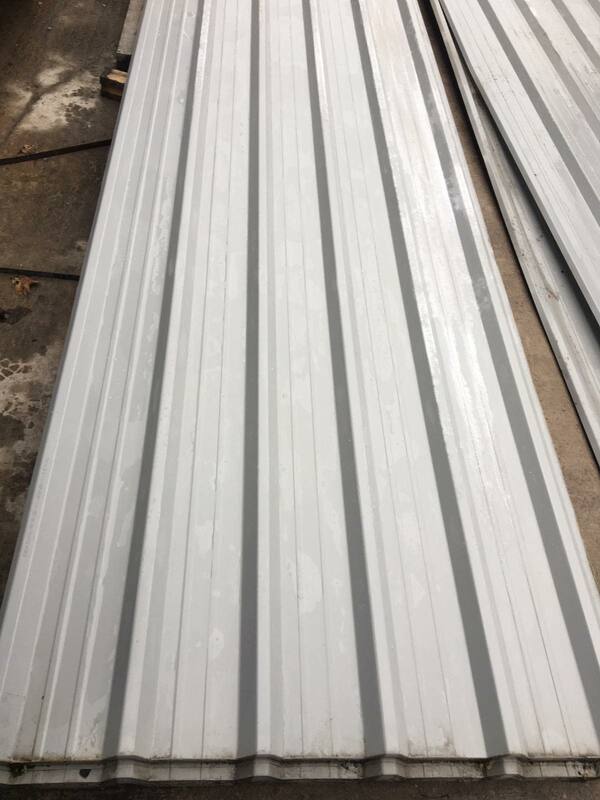 Packs of Box Profile 32/1000 Galvanised Steel Roofing Sheets, Grey Alkyd Polyester Coated Finish with White Reverse. 0.5mm Gauge. 1m Cover when lapped and fitted for roof cladding. Very Cheap at just £1.45 per foot + VAT.